In science one tries to tell people, in such a way as to be understood by everyone, something that no one ever knew before. But in the case of poetry, it’s the exact opposite! I tacked Dirac’s quote onto the bulletin board above my desk, the summer before senior year of high school. I’d picked quotes by T.S. Elliot and Einstein, Catullus and Hatshepsut. * In a closet, I’d found amber-, peach-, and scarlet-colored paper. I’d printed the quotes and arranged them, starting senior year with inspiration that looked like a sunrise. Not that I knew who Paul Dirac was. Nor did I evaluate his opinion. But I’d enrolled in Advanced Placement Physics C and taken the helm of my school’s literary magazine. The confluence of two passions of mine—science and literature—in Dirac’s quote tickled me. A fiery lecturer began to alleviate my ignorance in college. Dirac, I learned, had co-invented quantum theory. The “Dee-rac Equa-shun,” my lecturer trilled in her Italian accent, describes relativistic quantum systems—tiny particles associated with high speeds. I developed a taste for spin, a quantum phenomenon encoded in Dirac’s equation. Spin serves quantum-information scientists as two-by-fours serve carpenters: Experimentalists have tried to build quantum computers from particles that have spins. Theorists keep the idea of electron spins in a mental car trunk, to tote out when illustrating abstract ideas with examples. 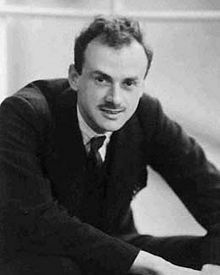 The next year, I learned that Dirac had predicted the existence of antimatter. Three years later, I learned to represent antimatter mathematically. I memorized the Dirac Equation, forgot it, and re-learned it. One summer in grad school, visiting my parents, I glanced at my bulletin board. The sun rises beyond a window across the room from the board. Had the light faded the papers’ colors? If so, I couldn’t tell. Do poets try to obscure ideas everyone understands? Some poets express ideas that people intuit but feel unable, lack the attention, or don’t realize one should, articulate. Reading and hearing poetry helps me grasp the ideas. Some poets express ideas in forms that others haven’t imagined. Did Dirac not represent physics in a form that others hadn’t imagined? Would you have imagined that form? I didn’t imagine it until learning it. Do scientists not express ideas—about gravity, time, energy, and matter—that people feel unable, lack the attention, or don’t realize we should, articulate? The U.S. and Canada have designated April as National Poetry Month. A hub for cousins of poets, Quantum Frontiers salutes. Carry a poem in your pocket this month. Or carry a copy of the Dirac Equation. Or tack either on a bulletin board; I doubt whether their colors will fade. *“Now my heart turns this way and that, as I think what the people will say. Those who see my monuments in years to come, and who shall speak of what I have done.” I expect to build no such monuments. But here’s to trying. o brief life, how long? waves and sun and sand. The editor of the arts section of my student newspaper did ask me, as a physics/mathematics major, to put in some physics problem that he could run as a piece of art. I ended up using something from a physics exam — re-deriving the Kepler equations for a different central force law — that I thought had that nice blend of being interesting mathematically and being interesting to look at, when all those long strands of equations were written out. He seemed happy with it. I’m not sure what it did to advance the appreciation of science as an art, though, or vice-versa. There are many interpretations of these eight lines which, however, are not the subject matter of this book. What is relevant for our subject matter is our speculations, right or wrong, of the meaning of these lines within the greater context of Goethe’s philosophy, i.e., there is a unifying force behind all manifestations of nature, which we cannot comprehend, but we can try to explain it with means at our disposal. It was in this spirit that John tried to comprehend the mysteries of atomic and subatomic particles through quantum mechanics, the mysteries of weather conditions and forecasting through hydrodynamics and statistics, the mysteries of the central nervous system through logic and architecture of artificial computers, the mysteries of genetics and inheritance through his theory of self-reproducing automata, etc. … [These matters] were discussed frequently in the context of father’s and John’s concepts of the professionals’ responsibilities to society. Conclusion Historians nowadays speak of “works being read as providing a usable past” [Shantz:2014], and Nicholas von Neumann’s biography provides fertile grounds for this crucial task, in which all members of the STEAM community — students especially — creatively participate (either explicitly or implicitly). Van Wyck Brooks (1918) on the notion of a ‘usable past’: “Discover, invent a usable past we certainly can, and that is what a vital criticism always does. [dots] The past is an inexhaustible storehouse of apt attitudes and adaptible ideals; it opens of itself at the touch of desire; it yields up, now this treasure, now that, to anyoneone who comes to it armed with a capacity for personal choices. If, then, we cannot use the past our professors offer us, is there any reason why we should not create others of our own? Colin McLarty (1999) on the notion of a ‘usable past’: “An important mathematical concept will rarely arise from generalizing one earlier concept. More often it will arise from attempts to unify, explain, or deal with a mass of earlier concepts and problems. It becomes important because it makes things easier, so that an accurate historical treatment would begin at the hardest point. I will sketch a more accurate history of categories and toposes and show some ways the common-sense history obscures their content and especially obscures categorical foundations for mathematics. Yet I doubt the more accurate history will help beginners learn category theory. Best wishes are extended to all readers of Quantum Frontiers, for enjoyable construction of a usable past, a hopeful present, and an enterprising future for the quantum STEAM community! Glad to hear that John von Neumann appreciated Goethe’s Faust. 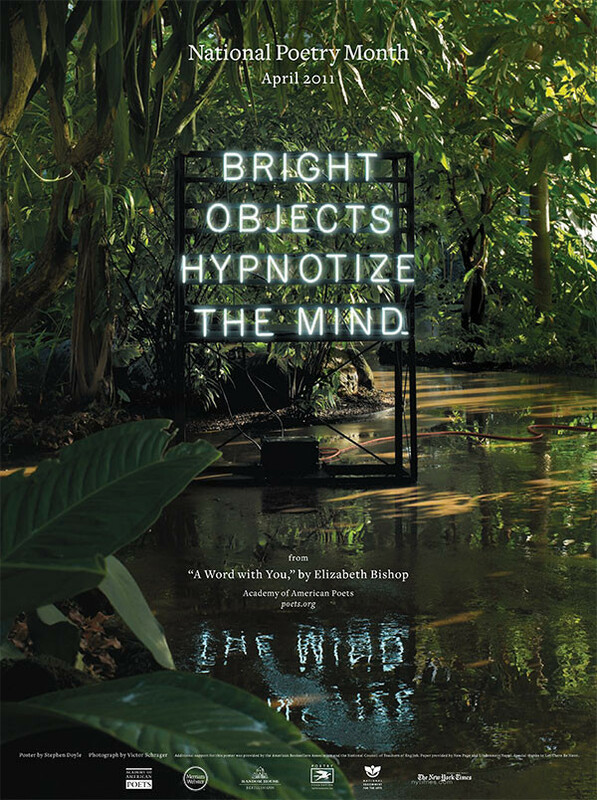 My first Quantum Frontiers post spotlights the poem: http://quantumfrontiers.com/2013/05/14/nature-you-instruct-me/. Excuse again please my poor English (and my feeling of uncertainty and discomfort when I adress to this very audience together with writers that I respect very much) and even excuse (… again!…) my idea to ascribe to Dirac some admiration to (for) Plato’s concepts, which is -or could be- rather a joke. For sure Julian S. Schwinger was fan of Poetry as the last paragraphs of his 1965 Nobel Lecture prove for good; hence I’ll give you the whole poem of a poet whom I like (love!) very much, together with his poetry and who’s I did the … acquaintance via Schwinger’s Lecture! Lovely imho!! Well, John Keats was really a fine artist “of the words” and a deepest thinker also! Thus I decided a few years ago to give this Keat’s 1816 poem to my pupils to translate together with the “introduction” (in fact the ten first pages) of the fundamental 1824 Sadi Carnot’s Paper. Keats suits this thread also because he studied medicine. In The Age of Wonder, Richard Holmes expounds upon how Keats, the chemist Humphrey Davey, and the poet Coleridge interacted and informed each other’s work: http://www.theguardian.com/books/2008/oct/11/richard-holmes. and he sang such praises that he rejoiced my heart. fluent with the art of prophesy, would not prove false. for the son who would come from their union. seemed a guarantee of security for her child. Thetis remembered the god’s words. that Achilles had been killed at Troy. flung them to the ground. when they killed her son in his prime? and with the Trojans had kiled her son. • Action limits, thought lames. Please allow me to commend also to poetry-minded Quantum Frontiers readers two recent — very recent! — books that (superficially) have little to do with science and nothing to do with poetry: Michael Harris’ Mathematics Without Apologies: Portrait of a Problematic Vocation (2015) and Eleanor Lerman’s Radiomen (2015). In regard to this same theme — namely, what we hope to learn from science and from poetry — Dominique Eddé’s recent Kamal Jann (2014) tells the story of individuals and communities whose “usable pasts” are destructively polemic, unscientific, and unpoetic (as contrasted with the hopeful irenic narratives of Lerman and Harris). Quantum Frontiers readers who appreciate dark works like Dostoevsky’s Crime and Punishment and Melville’s The Confidence-Man: His Masquerade will find in Dominique Eddé a modern master of dark narratives. But brace yourself. Conclusion For me, poet Lerman’s Radiomen is the most enjoyable, hopeful, irenic, funny, and inspiring of these works. • Kamal Jann is the sequel-story of Elim Garak. SYNOPSIS The Intelligence Advanced Research Projects Activity (IARPA) will host a Proposers’ Day on 19 May 2015 at the University of Maryland Stamp Student Union to provide information to potential proposers on the objectives of an anticipated Broad Agency Announcement (BAA) for the Logical Qubits (LogiQ) program. PROGRAM OBJECTIVE AND DESCRIPTION The LogiQ program in IARPA’s Safe and Secure Operations (SSO) Office is seeking creative technical solutions to the challenge of encoding imperfect physical qubits into a logical qubit that protects against decoherence, gate errors, and deleterious environmental influences. While quantum information processing has witnessed tremendous advances in high-fidelity qubit operations and an increase in the size and complexity of controlled quantum computing systems, it still suffers from physical-qubit gate and measurement fidelities that fall short of desired thresholds, multi-qubit systems whose overall performance is inferior to that of isolated qubits, and non-extensible architectures-all of which hinder their path toward fault-tolerance. Underpinning the program’s strategy to build a logical qubit is a push for higher fidelity in multi-qubit operations, the pursuit of dynamically controlled experiments in multi-qubit systems to remove entropy from the system during computation, and characterization and mitigation of environmental noise and correlated errors. There’s plenty more material on the LogiQ Program Proposer’s Day announcement page. Readers of Michael Harris’ book and/or weblog Mathematics Without Apologies (as they are both titled) will appreciate that IARPA is designating stable logical qubits as an avatar (in Harris’ phrase) for catalyzing advances in our general understanding of noise, decoherence, and entropy. Conclusion The physical process of removing von Neumann entropy from systems of qubits/qudits can be appreciated as a mathematical avatar — in Michael Harris’ phrase — for the computational algorithms that (heuristically) are so marvelously effective in removing Boltzmann entropy from atoms/molecules in large-scale quantum simulation software … sufficient to compose (F)foundations for the $120M/5yr investment by the Swiss-based pharmaceutical corporation Sanofi in the Portland-based quantum simulation corporation Schrödinger. Hopefully at least some East Coast quantum cognoscenti will attempt/report on this fine workshop!